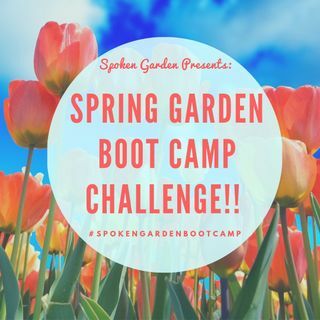 Topic: our upcoming 2nd Annual Spring Garden Boot Camp Challenge! Join our 2nd Annual Spring Garden Boot Camp Challenge, April 1st - 31st, and get your garden whipped into shape! Also join our first ever contest (3-winners)! Sign up at spokengarden.com/spring-garden-bootcamp/ .